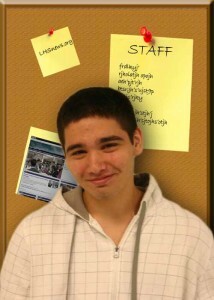 Hello, my name is Dominick Sarno I am one of the school newspaper editors. This is my senior year at East Leyden High school. I'm interested in art, and I have taken most the art class offered at Leyden. After high school I plan on joining the military and serving for four or more years.